Regional Transportation Planning, Research, Investment Strategies, and Funding. 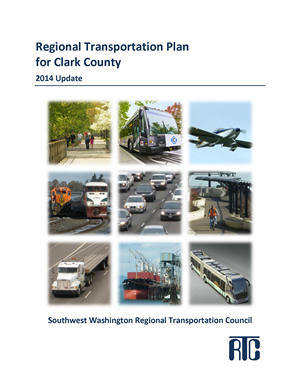 The RTC Board of Directors adopted a 2019 update to the Regional Transportation Plan for Clark County at its March 5 meeting. The RTP is the long-range, twenty-plus year, transportation plan required by federal and state governments as a pre-condition for receipt of federal and state transportation funding to this region. Adoption of the 2019 Plan concluded an almost two-year process during which Plan elements, such as regional transportation policies, demographic projections, and transportation projects and strategies, were reviewed and updated. RTC is already looking ahead to Fiscal Year 2020 which begins July 1, 2019, and goes through June 30, 2020. As such, a proposed draft transportation planning work program for FY 2020 is now available for public review. The UPWP documents proposed transportation planning work activities. It is a core component of a coordinated transportation planning process required by federal and state governments. The RTC Board reviewed the draft document at its April 2 meeting and a final draft will be brought back to seek Board adoption at the Board’s May 7 meeting. The Clark County Commission on Aging has published a report highlighting the results of a years long effort to identify the County’s needs and to highlight potential strategies for helping aging residents access mobility options. This effort was running concurrent with RTC’s study of the residents social service needs and access to transportation mobility. RTC’s Human Services Transportation Plan and project recommendations was approved by the RTC Board in November 2018. Clark County’s Commission on Aging is hosting a community summit on February 21 to share their report recommendations and to foster community dialogue regarding taking action. RTC is a co-sponsor to this event and will participate in the summit. Clark County is nearing completion of significant regional transportation system project on NE 10th Ave. When opened for traffic, the corridor will serve as a parallel arterial roadway route, serving local business and residential development growth planned for the Salmon Creek and Fairgrounds / NE 179th interchange areas. RTC was a funding partner to a series of projects in the NE 10th Ave corridor. RTC granted $1 million in seed funding to get the bridge design started on NE 10th Avenue over Whipple Creek (154th St. to 164th St). Design funds were obligated in 2013. RTC granted $1,840,000 for construction, for a total of $2.84 million for the bridge project. In addition, RTC granted $2.46 million on NE 10th Avenue for improvements between NE 141st St. and 149th St. (previously constructed and opened to traffic). The Washington State Department of Transportation recently recommended that the Legislature fund one project in Clark County and one project in Klickitat County for a total of $5.22 million in Washington State Regional Mobility Grants. C-TRAN would receive $4.9 million to design and construct an I-5 southbound Bus on Shoulder project from NE 99th Street to the Interstate Bridge. MATS in Klickitat County will receive continuing funding of $320,000 to provide express fixed route service to improve connectivity between counties in the Columbia Gorge Region in both Washington and Oregon. The Washington State Department of Transportation recently recommended that the Legislature fund two pedestrian and bicycle projects in the City of Vancouver. Under the Pedestrian and Bicycle Program, the City of Vancouver would receive $489,000 to improve bicycle and pedestrian safety on Devine Road. Under the Safe Routes to School Program, the City of Vancouver would receive $500,000 to improve bicycle and pedestrian safety in the Northwest Vancouver neighborhood. The Washington State TIB funds high priority transportation projects in communities throughout the state to enhance the movement of people, goods, and services. The City of Vancouver was awarded $3 million for transportation improvements on SE 1st Street, from SE 164th Ave. to SE 177th Ave. In addition, a total of $445,152 was awarded between Goldendale, White Salmon, and Stevenson to restore road surface at multiple locations. The RTC Board adopted a 2018 update to the RTP for Skamania County at its November 6 meeting. The RTP is the long-range, twenty-year, transportation plan. Adoption of the 2018 Plan concluded a year-long process during which Plan elements, such demographic projections and transportation improvements and strategies, were reviewed and updated. The region’s highest priority transportation improvements include enhancement of SR-14 near Cape Horn, SR-14 intersection improvements at Bridge of the Gods and Hot Spring Way, and rockfall protection. The RTC Board adopted a 2018 update to the RTP for Klickitat County at its November 6 meeting. The RTP is the long-range, twenty-year, transportation plan. Adoption of the 2018 Plan concluded a year-long process during which Plan elements, such demographic projections and transportation improvements and strategies, were reviewed and updated. The region’s highest priority transportation improvements include replacement of the Hood River Bridge, All-Weather County Roads, and SR-14 in downtown Bingen. 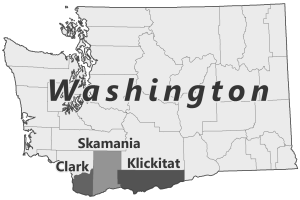 The 2018 update to the HSTP for Clark, Skamania and Klickitat counties was recently completed. The intent of the HSTP is to identify the special transportation needs of people with disabilities, low income, the young, the elderly, and those in rural areas who cannot provide transportation for themselves. On October 2, the RTC Board selected 7 projects to receive approximately $7.6 million in regionally allocated federal transportation funds. Projects will be programmed in 2022, and include funding for arterial improvements along 137th Ave., NE 99th St., and Grace Avenue. Funding will also be used for Bus Rapid Transit along Mill Plain Blvd. In addition to selecting grants, the RTC Board approved the 2019-2022 Transportation Improvement Program, which indicates a funding commitment for approximately $332 million in regional transportation investments over the next four years within Clark County. The Southwest Washington Regional Transportation Council Board of Directors passed a resolution supporting the replacement of the Interstate 5 Bridge with high-capacity transit with a dedicated guideway. The resolution, which was passed during the RTC’s meeting Tuesday evening, cites the crossing’s significance to the Vancouver-Portland metro area, the I-5 corridor, the West Coast and the nation, as well as the crippling traffic congestion it’s plagued with. Below are an assortment of recent news items related to or impacting local transportation issues. Most of these stories were authored outside the agency, and will take you to a new page on (or PDF document from) an external site. While many of the details of a replacement Interstate 5 Bridge have yet to be worked out, Washington lawmakers have overwhelmingly passed a bill that’s intended to hasten the project’s development once an agreement is struck. On Wednesday, the Senate passed HB 1994, which would create a process to designate transportation projects as being of statewide significance and is squarely aimed at expediting the replacement of the bridge. The bill passed on a 41-5 vote with the support of Sens. Annette Cleveland, D-Vancouver, and Ann Rivers, R-La Center. Sen. Lynda Wilson, R-Vancouver, was excused. According to a staff summary of the bill, an eligible project must “contain a bridge that connects two states, that has a reasonable construction cost estimate of at least $500 million.” Projects with this designation would need to meet criteria to relieve congestion, improve freight mobility, provide safety improvements and enhance regional economic development opportunities. Under the bill, the Washington State Department of Transportation would expedite the ’project’s completion and assemble a team of state, local and private officials to meet the project’s planning and permitting needs. Democrats in the state Senate have released their two-year transportation budget, proposing $9.9 billion in spending on areas that broadly mirror a counterpart proposal in the state House. The budget, unveiled by the head of the Senate transportation committee Tuesday, includes money to begin electrifying the state’s ferry system, jump-start planning on a replacement for the Interstate 5 Bridge across the Columbia River, and make a start on a multibillion-dollar court order over salmon spawning barriers. Advancing the process to replace the century-old I-5 Bridge has been a priority of Clark County lawmakers and other community leaders for the current legislative session. For years, Clark County critics of the failed Columbia River Crossing project complained that Oregon should work first to fix the bottleneck on Interstate 5 through the Rose Quarter. Now Oregon Department of Transportation officials have a $500 million plan to do just that. But the project has drawn a lot of hostility from a variety of groups south of the river, ranging from bicyclists to the Portland Public Schools. That leaves Clark County with at least two things to think about: Will Oregon ever find the consensus to fix a stretch of freeway that vexes Clark County motorists? And what might that conflict mean for nascent attempts at a new Interstate 5 Bridge replacement project? Changing the way local governments look at development and how they apply transit to their designs can help assure that Clark County residents will be able to age in place. That was the takeaway of a summit on transportation hosted at Clark College February 21. Spurred in part by a report from the Clark County Commission on Aging released early this year, the summit featured local agency leaders who spoke on what steps needed to be taken to facilitate aging in place. The event brought in about 80 individuals who participated during survey questions that interspersed the summit. The last question dealt with where local governments and agencies should focus their services to help individuals age in place. Most respondents selected community design and proximity to destinations, followed closely by universal mobility as a service. C-Tran’s board earlier this week approved the basic outline for a bus rapid transit line along Southeast Mill Plain Boulevard from downtown Vancouver to just west of Southeast 192nd Avenue – an early step in the process that will allow the agency to start more detailed design work on the bus line, which could open by 2023. The line would travel along the Mill Plain corridor from a new transit center near 192nd Avenue to downtown Vancouver via East Evergreen Boulevard. It would be the city’s second bus rapid transit line, following The Vine, which travels along the East Fourth Plain Boulevard corridor. The “rapid” in bus rapid transit comes from added efficiency. For C-Tran, that means The Vine uses 60-foot buses as opposed to 40-foot buses. Passengers pay before boarding as opposed to when they step on, and the buses can jump in line at some intersections thanks to special traffic lights. As predictable as traffic jams heading onto the Interstate 5 Bridge, state legislators are back in Olympia talking about Columbia River crossing options. And like other unchanging, interminable cycles, so returns talk of a tunnel solution to the river crossing problem. Why do we not burrow beneath the Columbia River to solve our metropolitan-area traffic woes, rather than build a bridge above? The tunnel option was explored, most recently, in the early days of the ill-fated Columbia River Crossing project. All indications are it was not a long conversation. The Vancouver City Council wants more feedback from residents, community groups and stakeholders before making a call postponing to next year a plan to add protected bike lanes, at the sake of parking spots, along Columbia Street. At its Monday night meeting, the council also asked for more specific information on what the city might be able to do to address the concerns of residents, many of whom were packed into the council chambers. The plan, the Westside Bike Mobility Project, would create three north-south, more bike-friendly corridors – one along Jefferson Street and Kauffman Avenue; Esther, Franklin and Daniels streets; and along Columbia Street – as part of a broader strategy to offer more transportation options for an urbanizing west Vancouver. Battle Ground’s Jen Kootstra, now retired, doesn’t make the commute south on the interstate highways in the county as much as she did when she was still working as an engineer for HP. Now, she makes trips south roughly weekly, heading to the 78th Street Heritage Farm, where she’s involved in the Master Gardener program, but she still wonders: How do traffic officials figure out travel time estimates on highway reader boards, such as the one north of Salmon Creek? Kootstra submitted her question through The Columbian’s Clark Asks website feature, where readers can suggest and vote on questions for further reporting. After reviewing the city’s plans to build three north-south bicycling corridors in west Vancouver, adding protected bike lanes but removing some parking spots, the Vancouver City Council chose to re-examine options for balancing parking following an outcry from residents. The council chambers were, unusually, packed for the workshop, with residents concerned about the lack of parking options and what they called poor communication on the city’s part. Following the discussion, City Manager Eric Holmes said city staff would provide the council with other options for how it might pursue the first phase of the project, which would involve repaving and adding the protected lanes to Columbia Street between, roughly, Mill Plain to Fourth Plain boulevards. RTC serves as the MPO for Clark County and conducts the federally required transportation planning process that is a condition for the receipt of federal transportation funds. RTC also serves as the RTPO, as required by the State Growth Management Act, for our three county region. The RTP for Clark County is the long-range, regional transportation plan. Where you’ll always find the latest information for meeting times and locations. The RTC Board of Directors include elected officials and decision-makers committed to working together to improve transportation mobility and choices for citizens across the Clark County, Skamania County, and Klickitat County region.